Cornwall’s largest independent beer brand, Tribute, has launched a competition designed to celebrate and showcase quality beer standards across the industry. 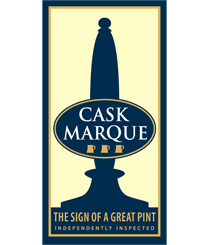 St Austell Brewery is inviting bar staff to upload a picture on social media of a pint of its flagship cask beer Tribute they’re proud of with #qualitytribute. One bar person will win a trip to Cornwall – the home of Tribute ale – when the competition closes at the end of December; cases of Tribute are also being sent out to select entrants every week. The competition coincides with St Austell Brewery launching the Tribute Seven Star Standard – seven ways to ensure the pints bar staff are serving are in perfect condition. Kits for the trade with copies of the new guide, information about the initiative and details of the competition have been sent to all Tribute stockists across the country. Marc Bishop, trade marketing manager, St Austell Brewery, said: “There’s much more to the perfect pint than just the taste and St Austell Brewery has a continued commitment to championing high standards from brew house to bar. With the recent 2018 Cask Report highlighting that four in five customers would be willing to pay up to 20% more for a quality pint of real ale, staff training has never been so important. This summer St Austell Brewery unveiled its biggest ever marketing campaign for beer brand Tribute. Designed to bring to life the beer brand’s strong provenance and taste credentials, all activity communicates the beer’s proposition – Quality speaks for itself. For more information about the Tribute Seven Star Standard and the trade competition, visit www.tributeale.co.uk/perfectserve.